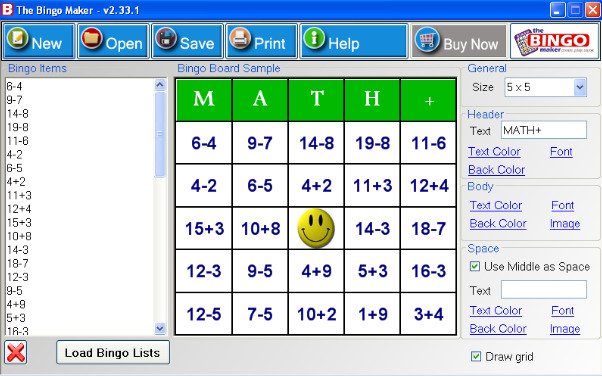 The Bingo Maker is a feature rich, intuitive bingo card maker Windows software for creating bingo cards at home. The Bingo Maker includes dozens of templates for Educational purposes, Birthdays, Bridal Showers, Baby Showers, Holidays and Classic bingo games. With The Bingo Maker you can personalize your bingo cards using different fonts, colors, images and backgrounds. Try it for free!